The easy-access drawer – Use the counter-height mid drawer to easily access the things you use most, like family favourites, healthy snacks, or anything you want kept at a different temperature (like cheeses). It’s energy-efficient, and practical. 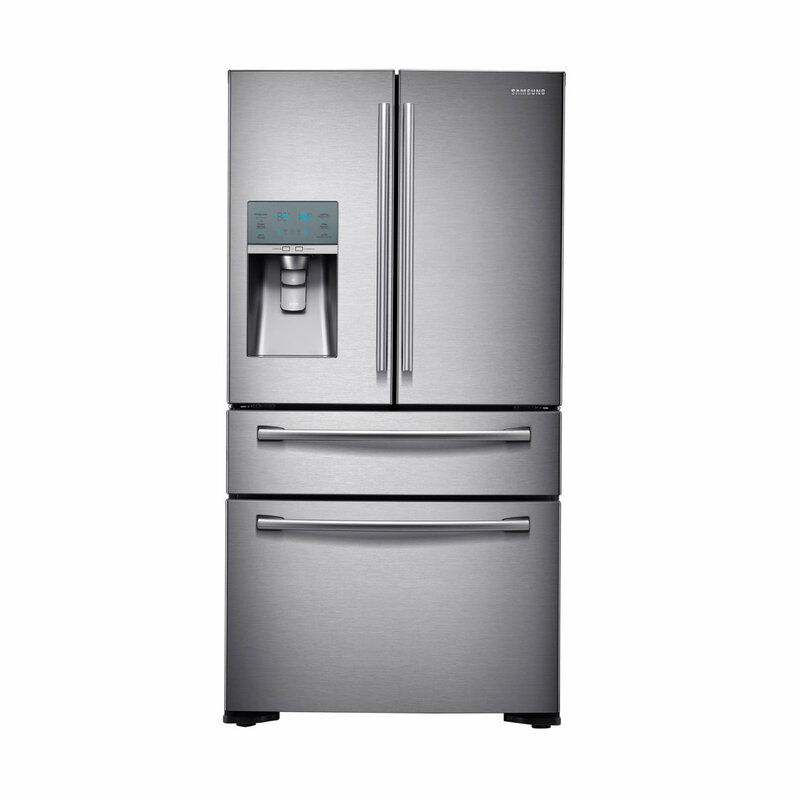 Set the fridge, set the freezer Independent systems give you more precise control, so you can set the temperatures exactly how you want them – no more frozen milk or soft ice cream. Open up to a bigger view Super-deep French doors let you see everything at once, so you’ll never have to spend time searching and wasting energy. A better ice maker Built into the door and cleverly designed to free up more refrigerator space than its predecessor (8.5 litres worth), while making more ice. Customise it A slide-and-fold shelf adds extra flexibility to your fridge. Fit an oversized cake box and still have room for wine!